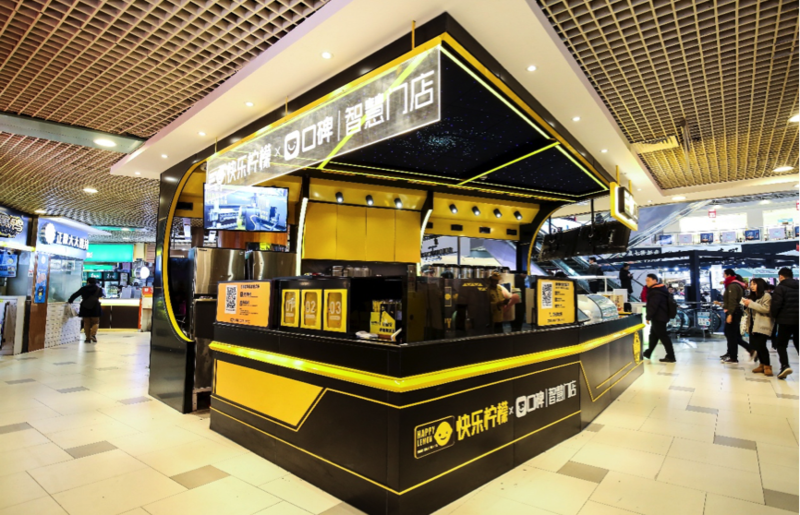 At its pilot “smart store” in Shanghai, customers have the option of buying their drinks at a counter manned by employees or, for a fully automated experience, purchasing via their smartphones for service by the robot. 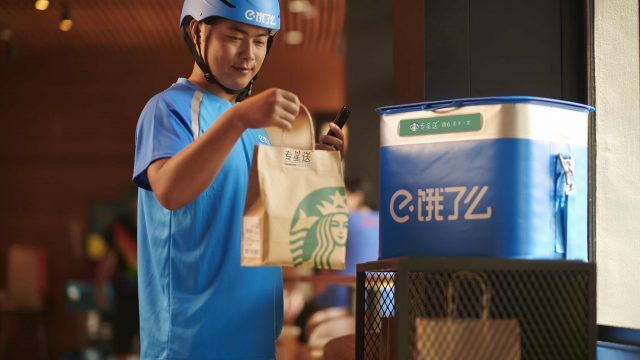 Customers scan a QR code with the Koubei app, tick a few boxes to customize their drink, then wait for a text notification to pick up their tea at a smart locker, which opens when they tap a “pick-up” button on the app. WATCH: Robotic arm mixing “handmade” bubble tea. Koubei and Happy Lemon’s tea-making robot can serve up drinks in 90 seconds. Happy Lemon, which operates more than 1,000 stores worldwide, including in the U.S., Canada, the U.K. and South Korea, is the latest company to join the smart-store program. Launched in 2017, there are now about 100 brands that have partnered with Koubei to upgrade their brick-and-mortar locations with in-store technology, such as features that allow consumers to pre-order by mobile app and skip lines. Other brands that have signed on include the century-old Chinese restaurant chain Wu Fang Zhai, Hong Kong traditional sweets maker Honeymoon Dessert and pastry chain Kengee. Daniel Lee, deputy general manager of global marketing at Happy Lemon, said that high employee turnover can subtract from good drinks being made consistently. The robot, which knows right ingredients and amounts, is the perfect solution to that problem, he said. A Happy Lemon customer uses the Koubei app to place his order. 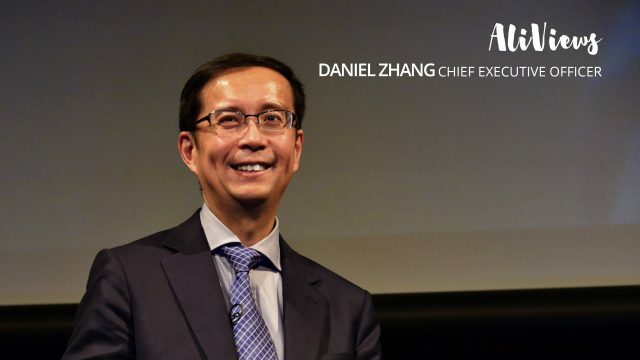 “Aside from hardware innovations like with the robotic tea mixer, what’s more important to us are the big-data applications behind it,” said Lee, adding that Koubei’s analytics had helped determine where to build the pilot smart store as well as provide artificial-intelligence-powered customizations to customers. 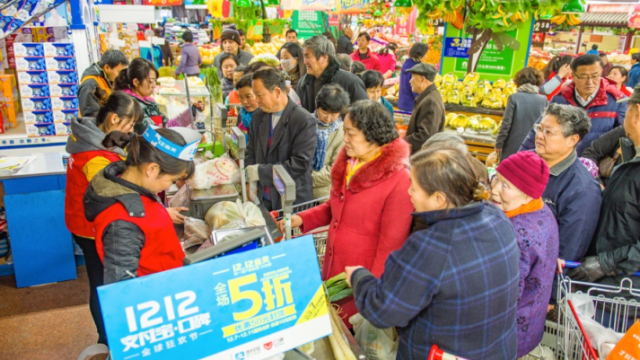 Last year, the company leveraged Koubei’s consumer analytics to better reach its potential customers online and drive traffic to its physical stores. In 2016, Happy Lemon had joined Alibaba’s on-demand delivery arm, Ele.me. The brand said that 30% of its orders come from delivery rather than in-store purchases, and it expects that figure to grow further. Market research firm Mintel says demand for tea-shop drinks has grown remarkably in the last couple of years in China, reaching a total retail value of RMB 48.5 billion ($7.2 billion) in 2018. While nearly all tea-shop consumers in China have bought their beverages in physical stores, just over two-thirds have ordered their drinks online, Mintel noted, which means online channels are a potential growth opportunity for tea chains.